In any freight forwarding business, you might have heard of the term Consol Box. It is a sustainable and cost-efficient solution for importing and exporting your freights. Consol Box is about collecting and combining freights of several customers into a single, more coherent whole. The idea of containerization started 62 years ago and it has brought a solid growth in international shipping, making it easier for shippers to ship their goods quickly and safely worldwide. As containerization evolved, the sizes and types of containers and its service types evolved as well. 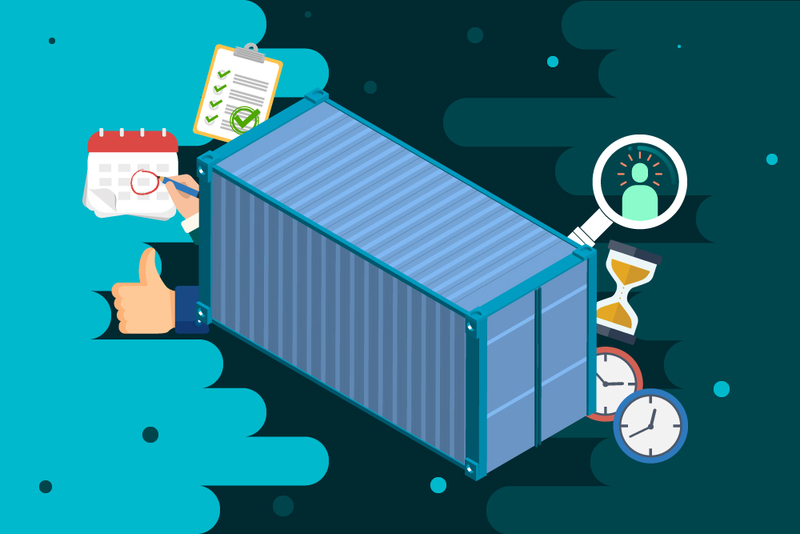 One of the container service types is Full Container Load or FCL – whereby a single customer uses a full container for their cargo exclusively. With FCL, the client is the one who takes full responsibility and reliability for the packing and condition of the cargo in the container. Most freight agents prefer a full container load because it delivers more quickly. FCL could be the best option, but what if customers don’t have enough money or cargo to get the full container? So there’s the Less than Container Load or LCL – whereby the same container is used for cargoes belonging to multiple shippers and consignees. For LCL, there’s a consolidator, a firm which groups together bookings made by various travel agents so as to get cheaper group fares on normal scheduled flights. He combines a number of things into a single more effective or coherent whole. For example, there are three boxes labeled as Box A, Box B, and Box C coming from different stores. Among the three boxes, A is the biggest one and it has a lot of empty space inside. The box size is a lot bigger than the item inside. It would happen that the items in Box B and Box C will be put on Box A. Apparently, all these packages can be combined and consolidated in one box, which is Box A. When shipping lines do consolidation in their own warehouse, the container is called an LCL container. And, when a consolidator does the consolidation, then the container is termed as Consol Box. Although the concept of gathering several cargoes and packing them into a single container maybe the same, there is a difference between LCL and Consolidation. Back office offshoring services will help you determine the difference between these two shipping methods. So How Does a Consol Box Work? Various shippers deliver LCL cargoes going to various destinations or to the packing warehouse nominated by the consolidator. Consolidators usually have a few consolidation or deconsolidation points around the world – like Dubai for all Middle Eastern countries, Singapore for all Far East/South East Asian countries, New York for the Americas, Hamburg for EU, etc. The consolidator will consolidate the cargo based on its final destination and arrange the packing accordingly. For example, the Far East, South East Asian, Australasian ports like Keelung, Penang, Sydney, Adelaide, Honiara, may be booked via Singapore, which could be the consolidator’s hub port for these areas. So the consolidator books a 20’ or 40’ container to Singapore as an FCL box on FCL terms with the shipping line. Each shipper who has given the cargo to the consolidator will receive a House Bill of Lading for their cargo after the payment of all freight and any other dues. A container is loaded and the ship sails. The consolidator will have cargoes to destinations arriving from other locations. These containers then sail to the relevant destinations. Upon arrival, the consolidator’s office or their agent will take the release of the full container from the shipping line and unpack the container at their warehouse. The consignees of these cargoes will approach the consolidator’s office or agent for release and will secure the release of their cargo after the surrender of the House Bill of Lading after payment of any destination dues. – Taking the fullback to port. With Consol Box, you only pay the space that your cargo utilizes in the container and you will be charged accordingly. Using a consol box is highly recommended especially for those who are trying to avoid storing a large inventory of goods. The consolidator will advise you of specific packing dates open for specific destinations, which will allow you to schedule your cargo deliveries. Consol service can be used for testing the service reliability of a supplier or for testing new products that you may consider buying. The smaller quantities provide flexibility to the shipper and consignee. You are able to secure a bill of lading as soon as you hand over the cargo to the Shipping Line – Master Bill of Lading for the LCL and House Bill of Lading for the Consolidation cargo. You can receive your bill of lading sooner, and you’re able to negotiate with your payment right away. But, as with any business/service, there are some cons with a Consol Box as well. It is hard to find a reliable consolidator with industry experience when shipping cargo in a consol box. Ensuring an effective plan, consol shipments require more planning, organization, and shipper needs to be aware of the cost, pricing, frequency of shipments, transit time, and cargo dimensions. A consol box may be susceptible to delays at the original CFS waiting for other cargo to the same port to be consolidated. There is a chance of cargo damage as compared to FCL due to multiple handling because a different consolidation point may handle the cargo. There is a possible delay of the entire container due to customs exam or investigation even if there is only one suspect among the cargoes inside the container. The possible difference in transit time between LCL and FCL to the same port that the shipper and consignee must be aware of and arrange their shipments. You may still have to wait for the full Master Bill of Lading of the shipping line to be released before you secure the release of your cargo despite having a consol box.